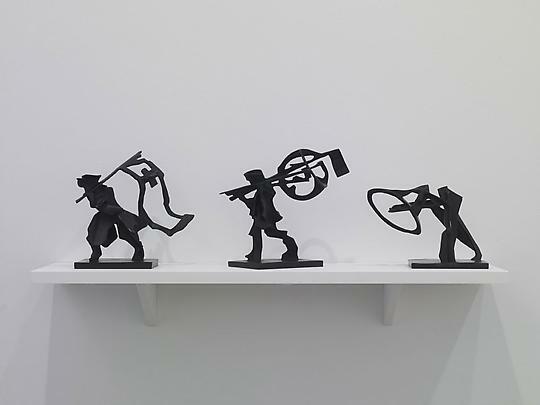 From left to right: Man with Flag, 2008; Man with Globe, 2008, Megaphone, 2008; Bronze. 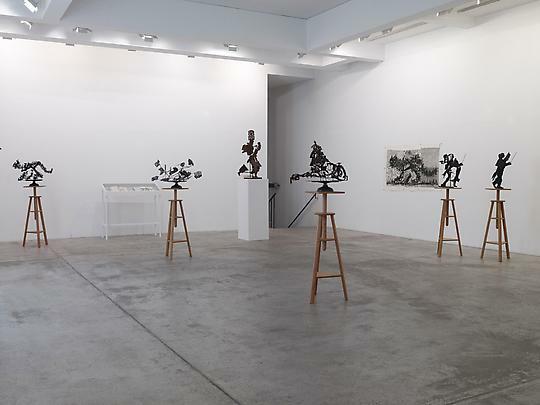 Marian Goodman Gallery is pleased to present a new exhibition of works by William Kentridge, which will be open to the public from the 11th September to the 16th October 2010. 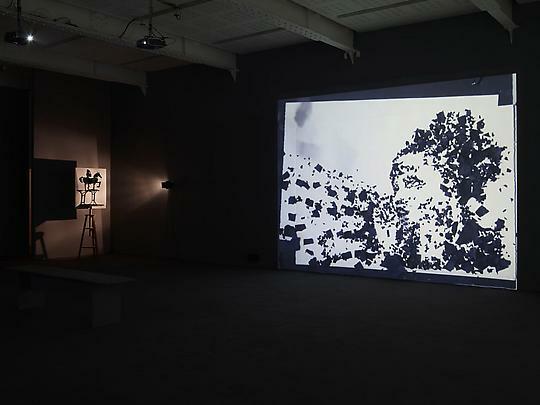 We will be showing an installation of three films, « Breathe », « Dissolve », and «Return». The triptych was produced in 2008 for the Teatro La Fenice in Venice and was projected on the fire curtain whilst the orchestra was tuning before the performance. 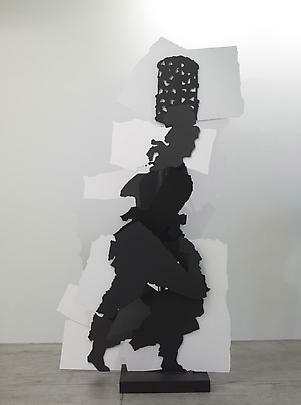 « Breathe » is composed of small pieces of torn black tissue paper which successively swirl and fall making either random patterns or defined images. 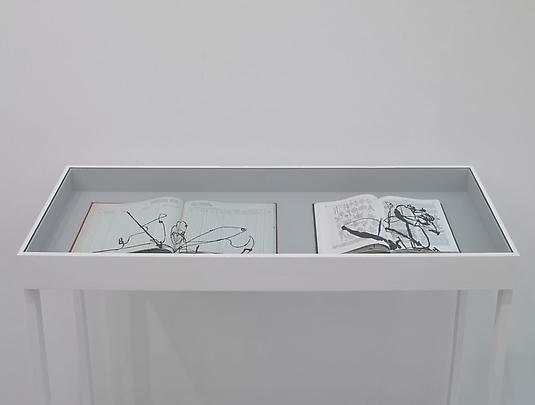 A singer’s breathing conducts the movement of the paper; the fragments are dispersed and in turn gather and fall to the rhythm of her breathing. « Dissolve » shows the artist as an orchestra conductor with the singer in an atmosphere bathed in reflections of water; where the images ripple and dissolve in turn. 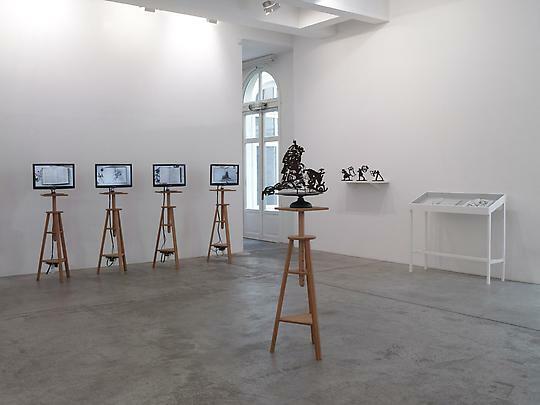 Downstairs, « Sculpture for Return (Double Half Horse) (bronze, 2008) in which another image appears in the shadow that the sculpture projects. 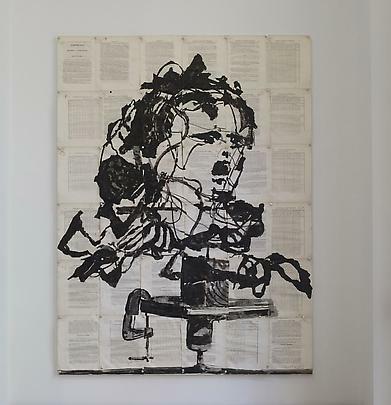 Upstairs in the entrance is a new work « Experiences sur les Roues à Aubes Planes (Soprano)» a large ink drawing composed of multiple book pages. 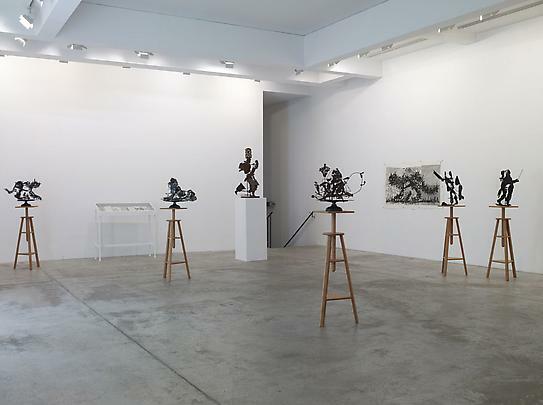 On display in the main gallery is a group of sculptures in bronze and steel. 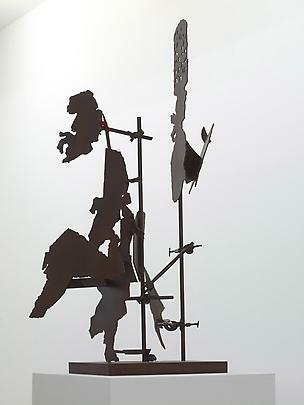 « Fire Walker » (2010) for example, is composed of painted steel sheets and bars and is three meters high. 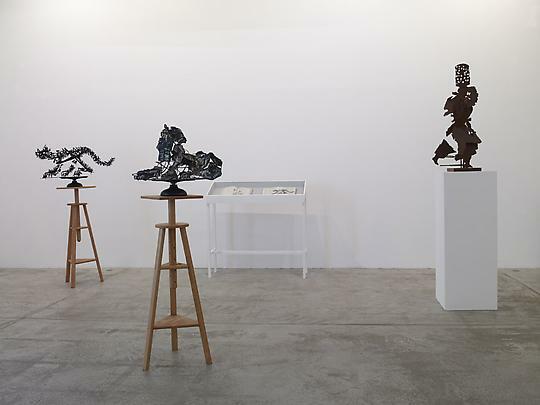 This monumental sculpture has been made on the same principle as the smaller sculptures; the figures are constructed and disseminated depending on the point of view adopted by the viewer. Two sets of drawings. 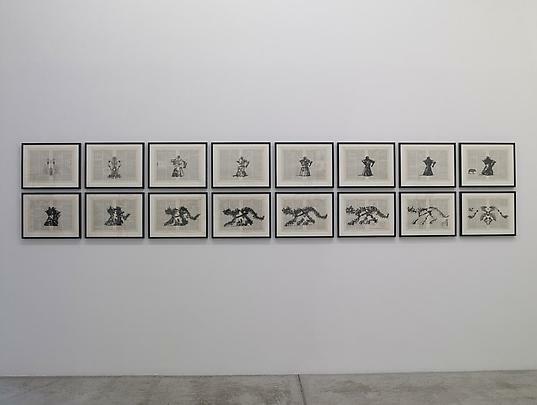 Firstly « Drawings for the artist’s book Breathe » (2008) made on pages taken from an encyclopedia in Indian ink and secondly a series of 16 new drawings entitled « Cat » 2010. 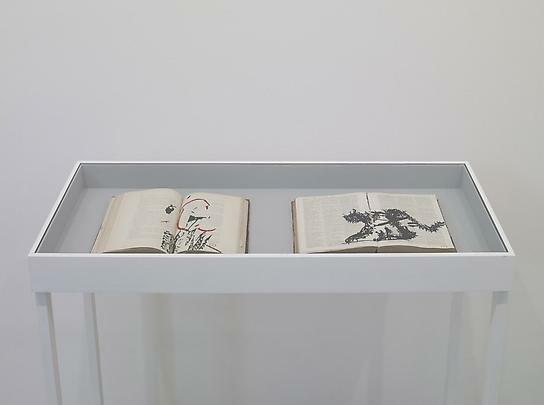 In the display cases are four books: each is related to one of the films on display in which we see the artists turning the pages of the books and drawing on them. 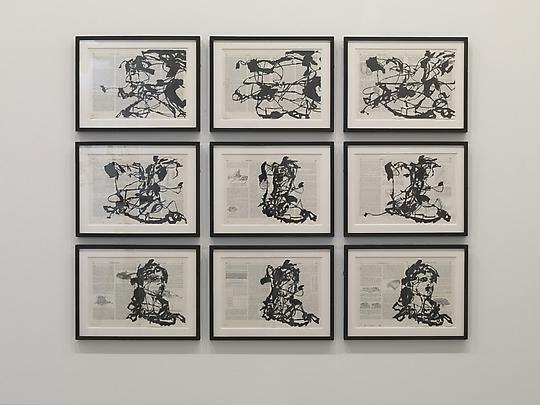 William Kentridge’s work has been exhibited all over the world. In 2010 he received the Kyoto Prize and in 2003 he was awarded the Kaiserring Prize Mönchhaus-Museum for Moderne Art, Goslar. 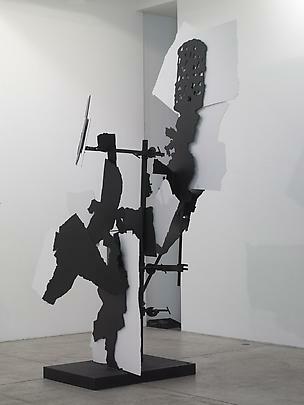 In 2000 he received the Carnegie Prize, Carnegie Museum of Art, Pittsburgh for his contribution to contemporary art. 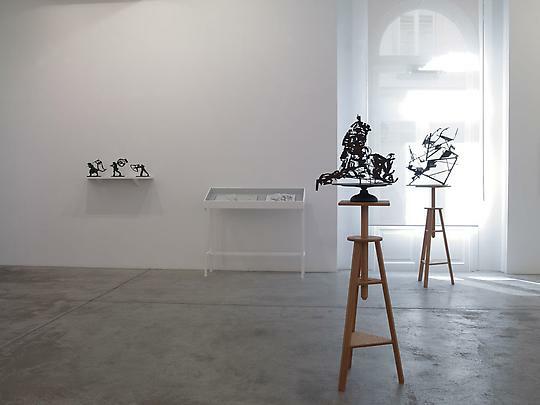 A retrospective entitled « Five Themes » is currently touring. Beginning in San Francisco Museum of Modern Art; it then travelled to Fort Worth Museum of Art (Texas) ; Norton Museum (Florida) ; Museum of Modern Art (New York) in 2009, Jeu de Paume in Paris in 2010, and from the 28 October 2010 it will be shown at the Albertina Museum in Vienna (Austria) ; then in 2011 it will travel to the Israeli Museum in Jerusalem and in 2012 to the Vancouver Art Gallery (Canada) and finally the Australian Center for Moving Image (Victoria). 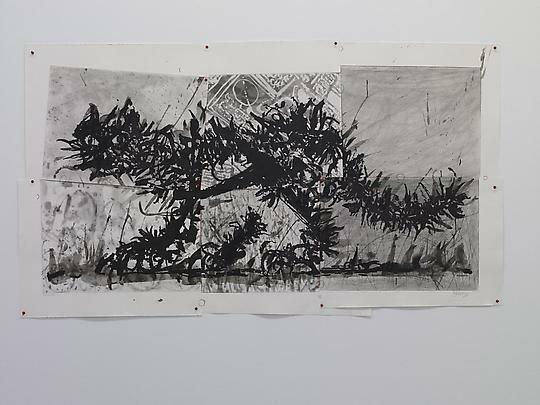 William Kentridge has had many solo exhibitions: « Carnets d’Egypte » Louvre Museum, Paris in the summer of 2010. 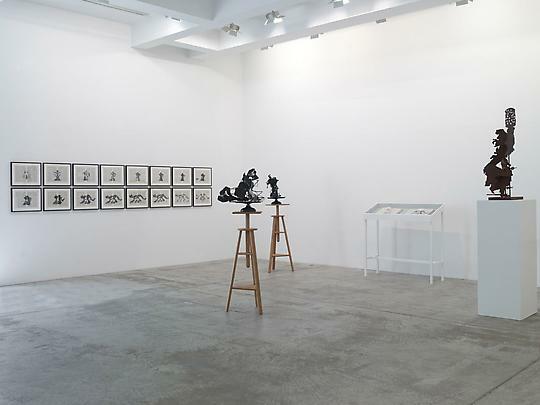 Also in 2010, « What We see and What We know », National Museum of Modern Art, Tokyo ; Hiroshima City Museum of Contemporary Art, “Ambivalent Affinities”, Krannert Art Museum, Champaign, Illinois. 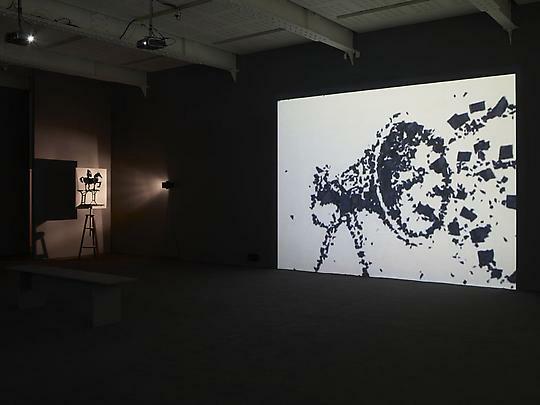 In 2009 « REPEAT from the beginning, Da Capo », at the Fondazione Bevilacqua La Masa, Venice, (Italy) ; in “Weighing and wanting”, Museum of Contemporary Art San Diego MCASD La Jolla, (California) ; in 2008, « 7 Fragments for Georges Méliès » Aberystwyth Arts Centre, Ceredigion, Wales ; in 2007 at the Moderna Museet, Stockholm ; at the Brooklyn Academy of Music, NY, which presented the version "The Magic Flute" ; at the Stadel Museum and at the Kunsthalle Bremen also at Smith College, Northampton. 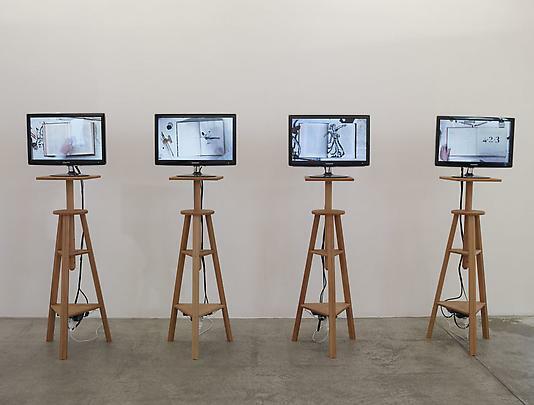 There will be also a retrospective at the Castello di Rivoli for the first time and then in Germany, Australia, Canada and at the Miami Art Central (MAC). 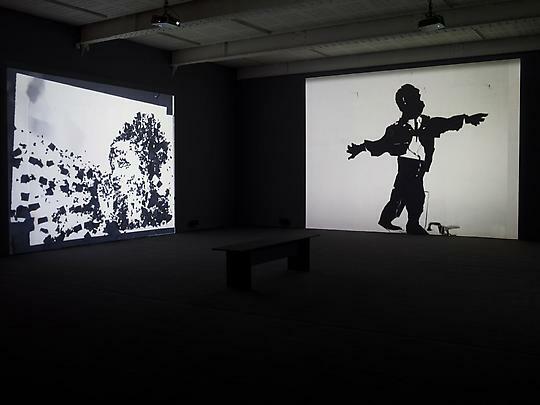 Last year William Kentridge created his version of the opera The Nose at the Metropolitan Museum in New York which will also be shown at the Festival d’Aix-en-Provence in July 2011. In addition The Magic Flute created at the Monnaie de Bruxelles in 2005 will be performed again at the Opéra de Rouen Haute Normandie in February 2011. On the 22nd October in the auditorium of the Louvre Museum the work « Telegrams from the Nose »will be presented. 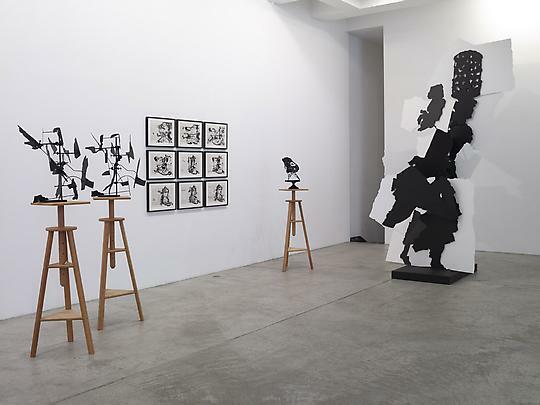 The work was performed at Marian Goodman Gallery in May 2008 in collaboration with François Sarhan and the ensemble ICTUS, for which William Kentridge made the stage and set design for the performance. 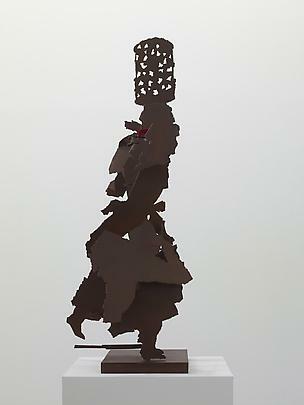 The piece will also be performed on the 23rd October at the Pompidou Centre in Metz.